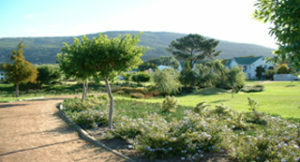 Previous successfully completed projects include landscaping and the installation of electronic irrigation systems at Paarl Medi-Clinic, Durbanville Medi-Clinic, KWV Laborie Estate, Welgevonden Estate, Distell Wellington, De Oude Renbaan Estate, The Afrikaans Language Monument and Museum as well as numerous private gardens at Boschenmeer and Pearl Valley Golf Estates. Sibanye Landscaping has installed numerous irrigation systems for the Department of Agriculture with water tank and pump & filter systems operating from well points for HDI vegetable farmers in Khayelitsha and Gugulethu. Sibanye Landscaping is also an accredited installer for Bergrivier Besproeiing, which is currently the biggest irrigation company in the Boland area and well known for its professional and quality service. 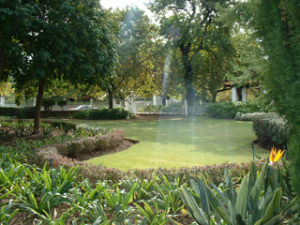 Design and landscaping of new gardens, upgrading of existing gardens. Design and installation of new irrigation systems for gardens and sports fields, upgrading and repairs to existing systems. Installation of underground drainage systems for poorly drained areas. Installation of water tanks, water pumps and filter systems. Digging of wells and sinking of well points and mini-bore holes for garden irrigation. Supplying of small quantities or bulk compost, fertilizers, bark mulch, herbicides, topsoil, lawn dressing, various lawn types in sods and plugs, plants and trees, sand and stone. Removal of garden refuge and building rubble. Pruning of trees and shrubs as well as felling of trees and destumping. Spraying of herbicides on lawns and sports fields for the control of weeds. Laying of new lawns, topdressing and levelling. Building of various types and sizes water features. Installation of various types of lighting for gardens. Building of Terraforce retaining walls and terraces. We have an extensive well-trained labour force combined with personal supervision to ensure a professional service with satisfied clients guaranteed!